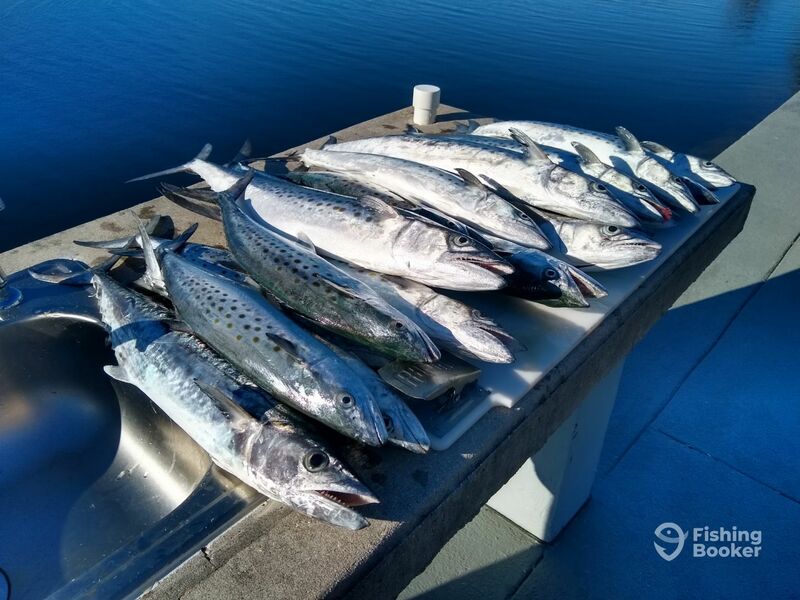 “It’s What’s for Smokin” Jeffrey from (Feelin Fishy Charters) and The BGS South Crew (me) went Out Back today for a see what was happening tour (after a couple days off the water) !!! We found Macs, and lots of em !!! I stuck with Live / Dead Bait Rigs, Jeffery was sportin a Fly Rod and we both crushed em…Caught a bunch and set a bunch free ... our Smokers will be Smokin this weekend !!! 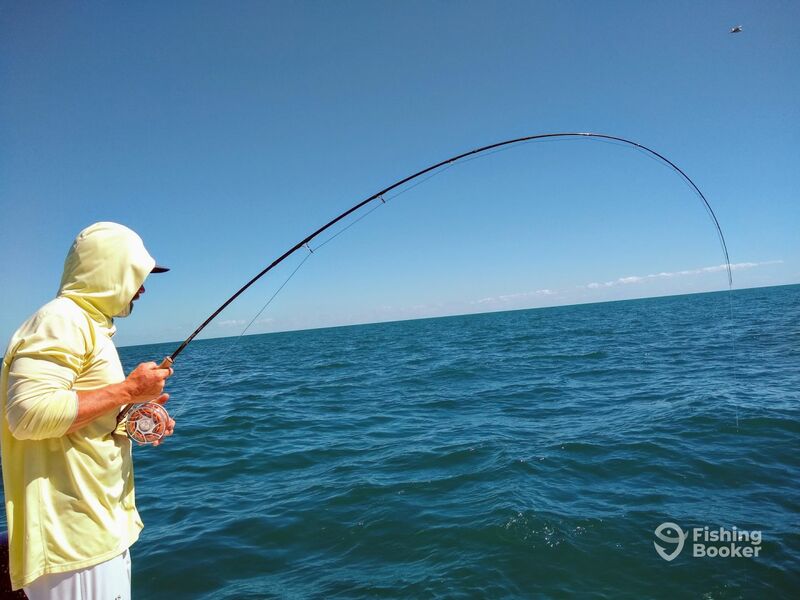 An avid angler since childhood, Captain Mark "Beamer" Beam can boast of over 50 years of fishing experience. Beamer got into the hunting / fishing business in 1985, going full-time in '89. 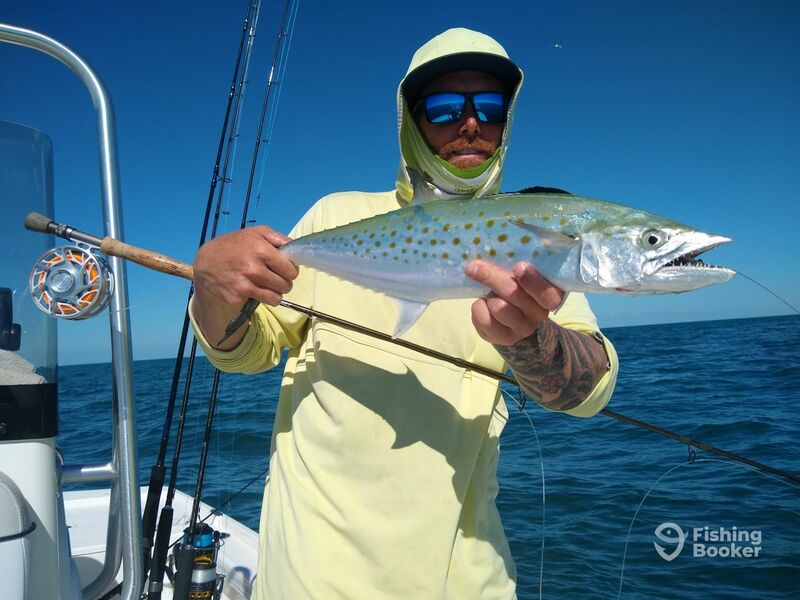 Since 2011 he's been spending the winter months and most recently June, and parts of September & October in the Keys and started running charters again. Just two years ago he caught 8 Kings over 50 Lbs., and routinely catches Snappers, Mackerel, Cobia, Trout, Sharks, Etc... . The Boyz...Day 1...Raye, Gav, & Bradon put the wood to em today...Spots, Pompano, Mr. Lemon, Etc...Look Out Day Two !! !